My horn does not work on my recently purchased 2013. Is the horn on active police cars hook up to run the siren ? There is a place where they can interrupt the horn circuit to control a siren. 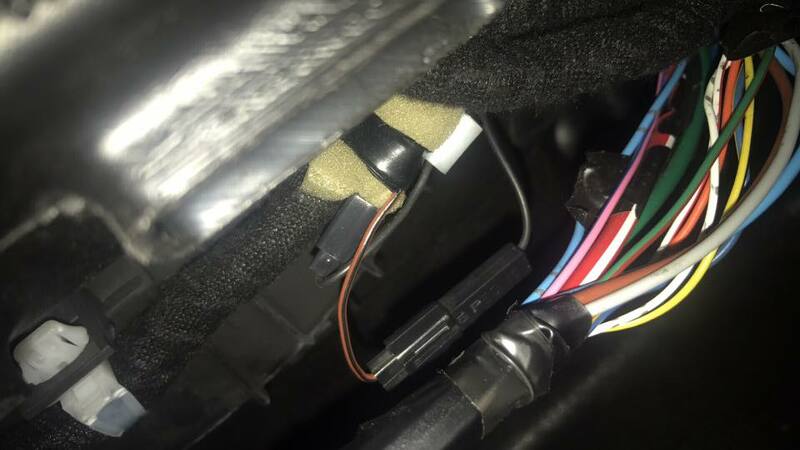 Behind the glove box at the firewall is a harness with a wire coming out of it with two connectors on them. If they are connected make sure they are connected with the same color wire. If disconnected hook them up that usually fixes the horn. 11-13's it is a brown and black wire 14+ Green with a white stripe. So here is an example were they have connected in some black wires into the circuit. You would remove those and plug the Brown/Black halves back together. Thanks Steve.......will check this out. Great tip found the wire with a few things hanging off it that shouldn't have been there. Reconnected and boom...........a nice horn sound. Thanks for the info. Now I just need to get my overhead red and clear police lite to work. Checked it today and no power going to it. ?? Now I just need to get my overhead red and clear police lite to work. Checked it today and no power going to it. ?? Where you check it at the bulb contacts or the connector? You have an orange wire at the connector? I believe the orange wire is circuit 1732 and that goes right to the BCM so if you leave the light on when you turn off the car and shut the door it will turn off the light after 10 minutes. No fuse for that so if you do not have power at the wire then we gt a BCM problem. You're post on how to fix the horn in my Caprice made my day when I came across it! I traced the brown and black wire like you said then connected them. Horn works!! Thank you so much. Wouldn't you know it! That's was too easy. Thank you guys, I feel lucky to have such an amazing group to help. I did find my green and white wires, they were each connected into some other green and yellowish thin wires. I just separated the connectors and plugged them to their matching color and bammm.. just like that the horn works.